On Friday, I posted my first project where I used Bitstrips to create a comic about How to Be Julie as part of the summer #clmooc. Today, I want to talk a little bit more about #clmooc and why I signed up. I am a true believer that writing teachers need to be writers. While participating in the Columbus Area Writing Project Summer Institute in 2007, I learned first hand what it was to be a writer. I immediately gained a better understanding of what my young writers went through each time I asked them to write. My conviction has only grown stronger in the last seven years. As I've moved more and more into the digital world with my students, I continue to see the importance of trying the things I am going to ask my students to do. I received several announcements about #clmooc through the National Writing Project. I was a little intimidated. After all, the people who were already in the group are so much more experienced than me when it comes to digital compositions. At first, I ignored the invitations. Then, I looked around a bit to see what it was all about. I became intrigued. I knew that if I was going to grow, I needed to jump in. And who better to learn from? Here, I had access to the experts. I also knew it would give me material for DigiLit Sundays. :) And now that I have a week under my belt, I know that there are a lot of newbies like me. If I'm going to ask my students to take risks, then I need to do it too. As Chris Butts said in Saturday's email, There are no scorekeepers or judges in CLMOOC. It’s about making, connecting, and learning. For more than a century, educators have strived to customize education to the learner. Connected Learning leverages the advances of the digital age to make that dream a reality — connecting academics to interests, learners to inspiring peers and mentors, and educational goals to the higher order skills the new economy rewards. Six principles (below) define it and allow every young person to experience learning that is social, participatory, interest-driven and relevant to the opportunities of our time. Saturday's email asked for reflections. Reflecting is so very important and I've come to make it more and more a part of my assessment with my students. What I made last week:I used Bitstrips to make How To Be Julie comic.I tried out Thinglink. I've seen some references on Margaret's blog. I made My Digital Avatar and All About Grilled Pizza (which, by the way, I'm in the process of making while putting this blog together). Nothing is in process right now (except for dough rising for our dinner of grilled pizza tonight). I want to spend more time with Thinglink. I want to work on curating all of this information. I'd like to work with Wordfoto. I want to try out Canva. I'd hope to participate in a Twitter chat this week. What did I learn from this week? First and foremost, I learned what a great, supportive community this is. People replied to my post right away and I've connected with more people on Twitter. Once I decided to create a comic, I wasn't sure where to start. A quick google search gave me plenty of choices. I was a little confused at first, but once again, a quick search on YouTube, and I found a tutorial (by a boy who sounds to be about 12) on how to use it. I had a lot of fun doing all of my creations. The openness of the make cycles validated my conviction of giving kids choice in reading and writing workshops. I think the biggest purpose for me was to get my feet wet, begin to explore the community, and connect with others. Are we the same person? I got all the email invites and felt the same trepidation. The Twitter chat really helped me to feel more at ease and less of a novice. As many times as I've heard the song Happy, I have never seen the video. What fun that you made it part of your digital self. 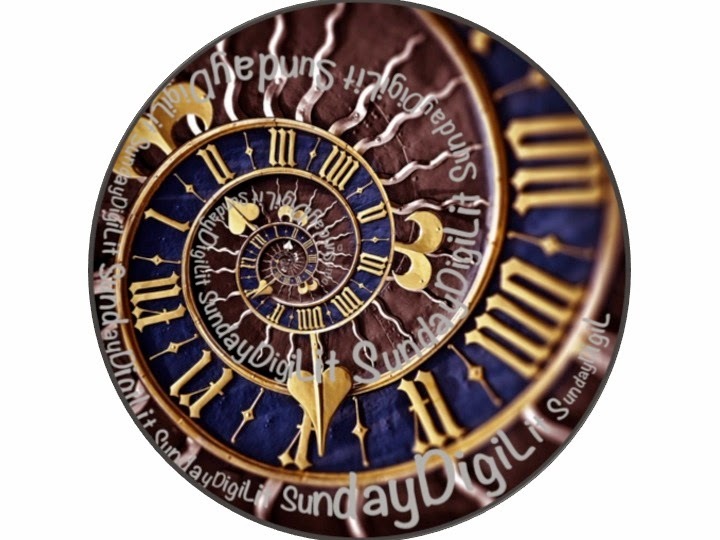 Two questions: How do we get some of those CLMOOC people to join in on DigiLit Sunday? How did you get Thinglink to work in your blog? Do you pay for the blog? I'm still using free wordpress and it doesn't support the links. Thanks for posting and linking up. Yay, us for being brave! Reflection like yours seems to be the core of the writing project and connected learning. I am so happy that you have joined us old hands. Your presence is what sustains us. We all are learners. Thank you Terry! It has been a fun week and I'm looking forward to what's next. OK...I LOVE the bitstrip comic used with thinglink!!! I'm going to make one too. Awesome idea!!! :) Thank you! Julie, I wanted to share what I made...inspired by this post: http://1gratefulteacher.blogspot.com/2014/06/playing-in-digital-sand-box.html Thanks so much! I keep coming back to this post and re-reading it. It is these words we need to remember: "I learned first hand what it was to be a writer. I immediately gained a better understanding of what my young writers went through each time I asked them to write." We need to help kids be writers, try writing, and know that what they write is always the beginning-- they need to know that it won't be perfect, but will be done. As Donald Murray said, "Writing is hard fun."